Many bodybuilders and fitness athletes already know about how creatine monohydrate can be beneficial for increasing muscle size and strength, but what about for losing fat? Is it still an effective supplement to do so? 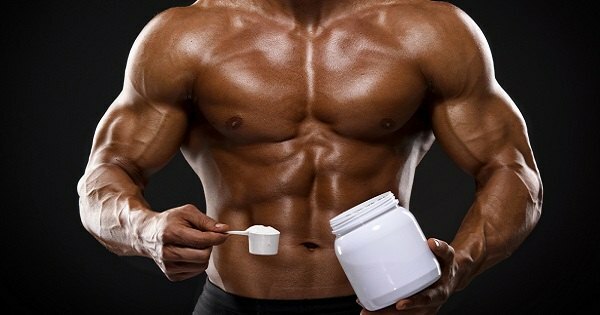 Creatine & Fat Loss - Is It Effective? Just keep in mind that no matter how many supplements you take, the main thing you need to be concerned about when losing fat is creating a calorie deficit. Consuming fewer calories than your body needs each day is the only thing that will make fat loss occur. The main goal for many people who are trying to lose fat is to maintain as much muscle mass as possible, while maximizing the amount of fat lost. 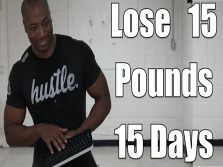 I'm sure you already know this, but building muscle takes a lot longer than burning fat, so you want to maintain every single ounce of hard earned muscle you've built when trying to do so. This is why you still need to focus on weightlifting intensely when you're trying to lose fat as well. You need to constantly keep your muscles stimulated in order to send them the signal that they need to be maintained. This is how creatine can help in the fat loss process. As you might already know, creatine is primarily responsible for increasing muscle strength and endurance. It does this by increasing ATP in your muscles, which is the primary fuel your body uses for any weightlifting movement. When you supplement with creatine, you're maximizing your strength and since your strength is staying up, your muscles have a reason to stick around as well. Keep in mind that there is a direct correlation between muscle size and strength. The stronger your muscles can get, the bigger they can get, and so on. And since muscle increases your metabolism and burns additional calories, this can contribute to increased fat loss as well. 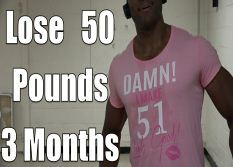 Many people often note that creatine makes them feel "bloated" and causes a soft, pudgy look to their physique. Although this might be somewhat true, it's not nearly as severe as many people think and after you've been on it for about a week, you'll notice that this bloating tends to subside. 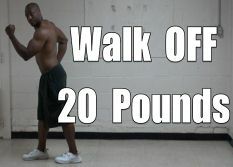 Even it sticks around, just try to ignore it and realize that the initial gain in weight is water weight - not fat. If anything, creatine will increase your body's levels of hardness and overall definition. Creatine is very beneficial when trying to lose fat, due to the fact that it helps you maintain muscle strength and endurance, which will help you maintain more overall muscle mass. You might actually gain strength when you're on creatine, regardless of rather or not you're in a calorie deficit. The end result is a higher muscle to fat ratio, which can improve your fat burning metabolism and help you burn additional calories. You should be taking as much creatine as you would take if you were on a bulking phase trying to gain muscle. Taking 3 grams of creatine monohydrate per day should be sufficient to keep your muscles saturated. If you want to see even more beneficial results, including 3 grams beta alanine to your creatine mix can help you as well. Beta alanine can help increase your muscle strength and endurance. It does this through utilizing a different pathway, which means that combining it with creatine can be extremely beneficial. BOTTOM LINE: Creatine is an effective dietary supplement not only for those of you trying to gain muscle, but also for those of you trying to lose fat. Sir my weight is 87 kg and my age is 26 can i use creatine monohydrate as an supplemnt .It will be my 1st supplimnt .It really affect my body fat loss. I am 19 years old and my wieght is 91 kg , recently i joined gym 2 weeks from now my muscles are coming in form but i have something called as belly fat and side fat. I want to go on diet but at same time, i wanna build my muscle. So creatine will help me to burn fat and increase my muscle. no, creatine by itself will not make you get muscles. Your site is awesome. You are so knowledgeable!! I've been working out for 30 years and after 2 kids and turning 40 this year I'm suddenly having a tough time though I do interval training at least 4 times a week. I see signs of bat wings and a muffin top!!! OMG, I work so hard, but I don't eat meat and I love sugar. Should I add protein shakes twice a day, maybe l-carnitine or cla for tummy fat and chromium to curb sugar cravings? Or, is there something better? Your response would be so much appreciated.